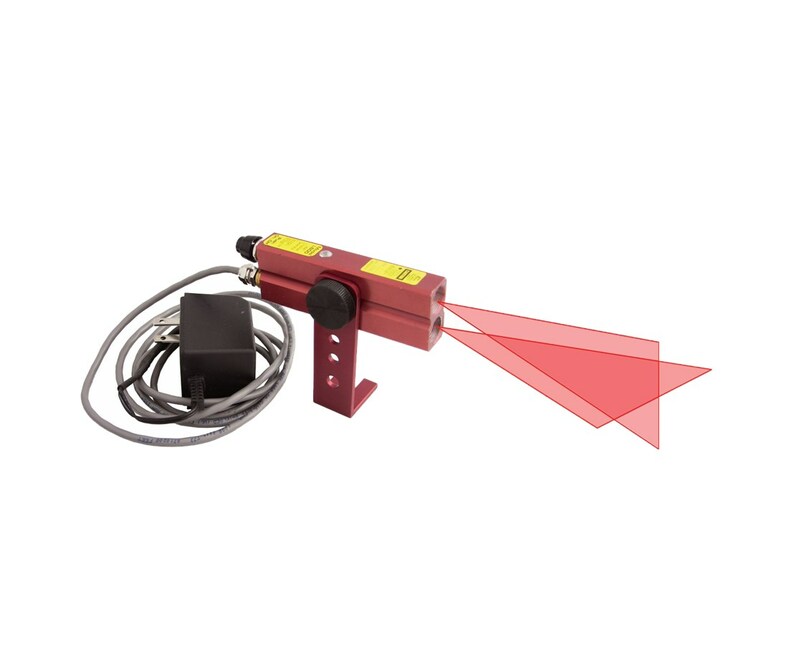 The Johnson Level Industrial Alignment Cross-Line Laser Level has a wide range of use. Ideal for centering parts on equipment - riveters, positioning parts on welders, drill press alignments, site layout, cross cut and break measurements. Its cylindrical lens technology comes with a solid glass optical system that draws a continuous line at any distance. The laser diode is rated for 10,000 hours of operation or equivalent to 5 years normal operating condition. It has line fan angle of 70 degrees that draws two 25-inch lines at 18 inches distance and a line width of 1/16-inch. It comes with hard anodized scratch resistance housing and a push on/off switch that turn unit on and off without having to disconnect power. 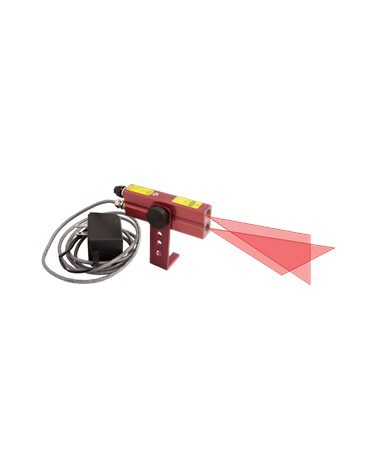 This Johnson Level Industrial Alignment Cross-Line Laser Level has two beam indicators for easy viewing, one on the top and one at the bottom. It comes in a Red beam with a laser wavelength of 635nm+/-10nm or Green beam with a laser wavelength of 532nm+/-10nm and includes 110V AC adapter, mounting bracket and instructions manual. It also comes with a 1-year warranty. The Johnson Level Industrial Alignment Cross-Line Laser Level is available in different beam colors. Select your preference from the drop-down menu above. Dimensions 4" x 0.75" x 1.375"